One of the most beautiful, timeless color pairings is navy blue and gold. There is something so elegant about this combination. 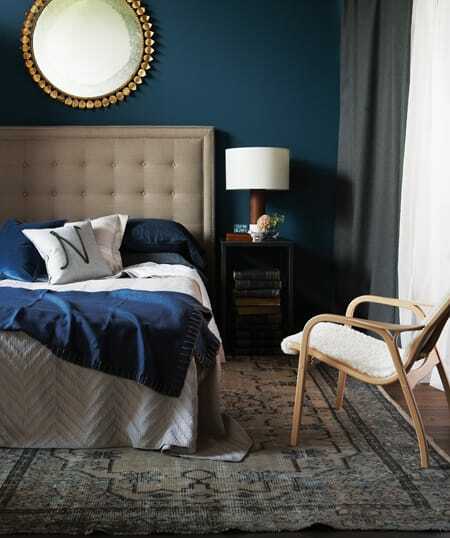 Navy blue is a rich, luxurious color that is very versatile and gold takes it to a glamorous place. Another nice thing about this pairing is that it is gender neutral. You can go ultra feminine if you want, but you can also play it down a bit so that it is still sophisticated but is equal parts masculine and feminine. It also suits a variety of styles, including traditional, contemporary, modern, and even rustic. 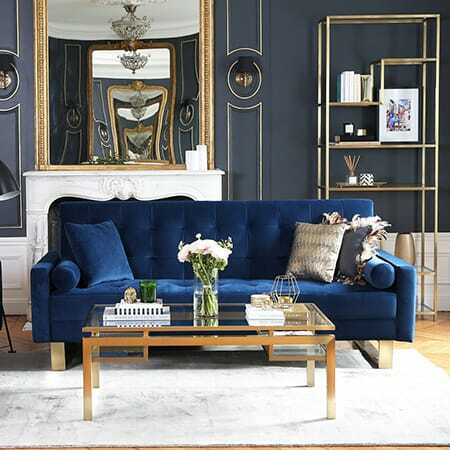 Here are 10 beautiful examples of rooms with navy blue and gold decor to give you some inspiration. 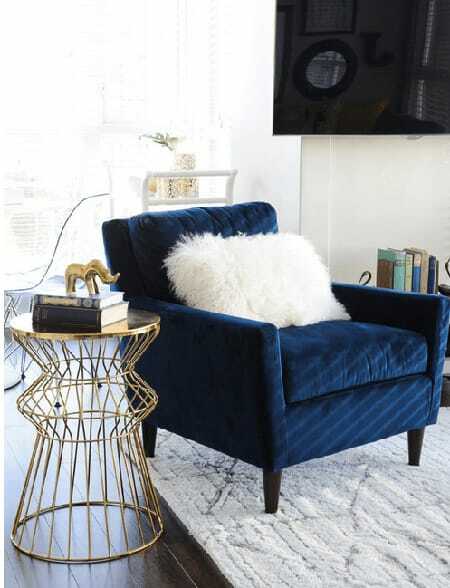 A velvet navy blue sofa looks glamorous with an old Hollywood vibe paired with the gold and white accents. 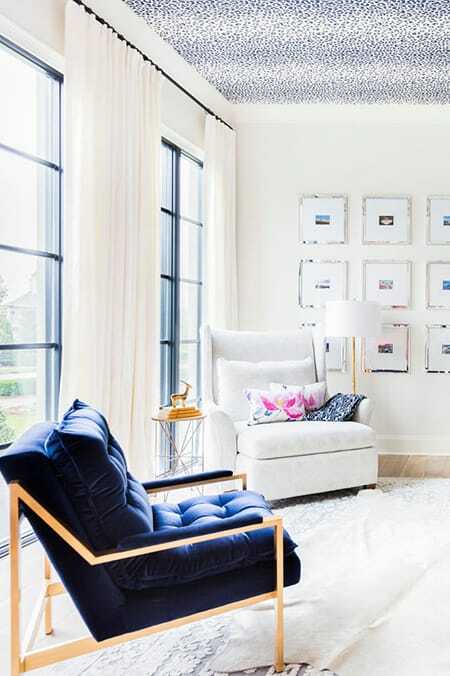 The navy blue and gold of this ultra chic chair brings a pop of style to this white space. 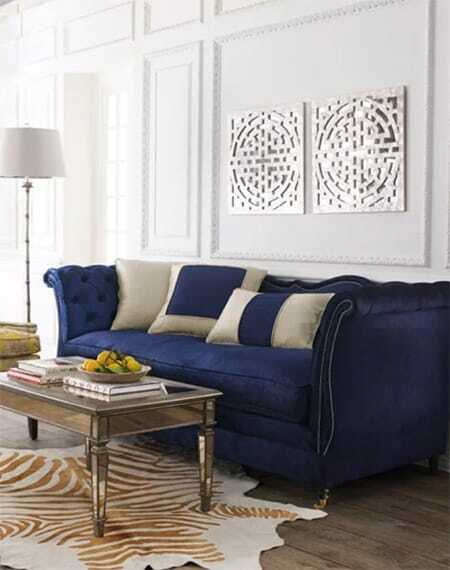 The dark grey walls and navy blue sofa give the gold a perfect canvas to stand out on. You don’t always have to go with a metallic accent to capture this look. The animal print rug brings in the gold color in a softer way. 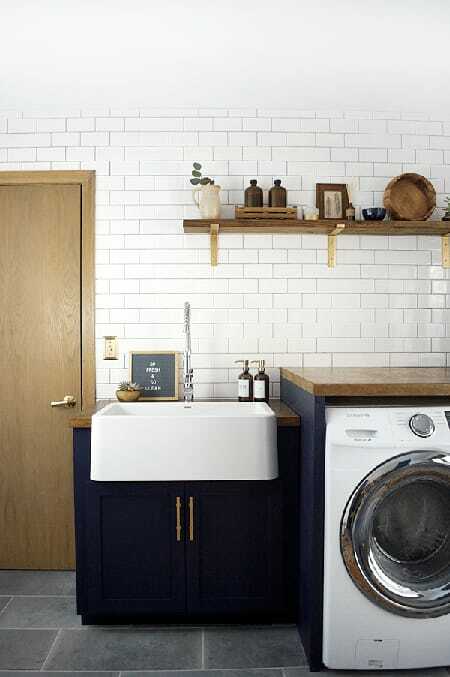 Navy blue cabinets and gold hardware bring a touch of elegance to this laundry room. This combination is great for a gender neutral bedroom. The navy blue feels masculine for him while the gold offers a glamorous touch for her. 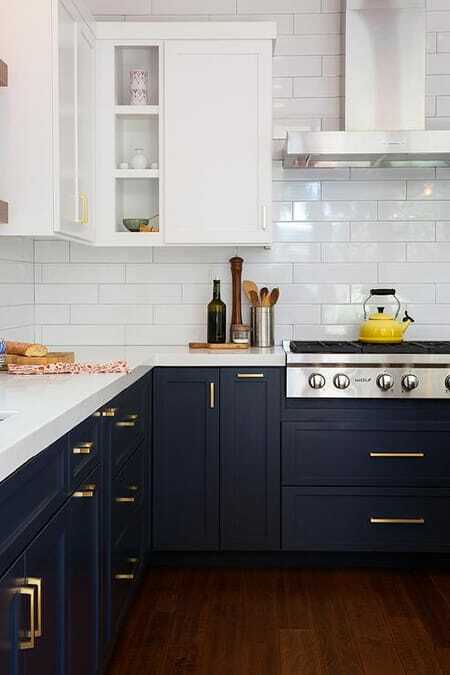 Navy blue cabinets have an elegant look in a kitchen, especially when paired with gold hardware. 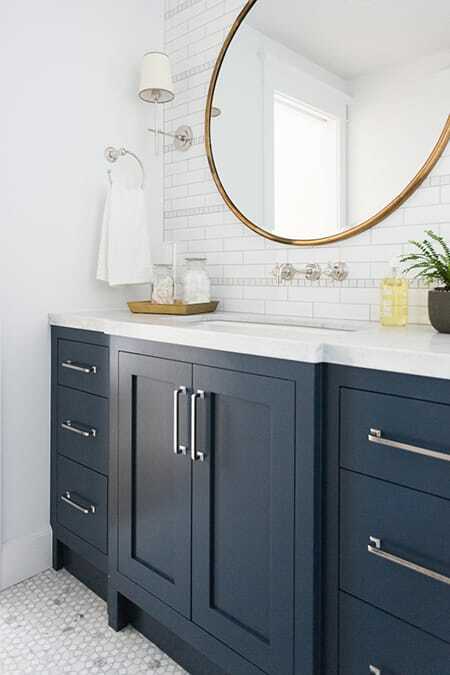 Navy blue cabinets are a great bridge for mixing metals, too. Here, silver hardware flows nicely with gold decor. 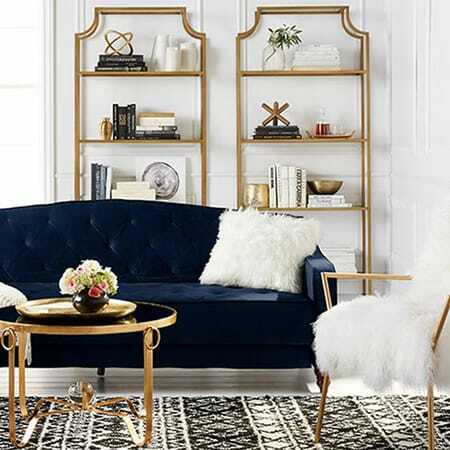 This vignette is super chic. Love the lines of the table. Other colors look great when paired with navy blue and gold, too, like this stunning maroon sofa.